All about the 'goodreads' I've had, and those I've got planned. Due for publication on 13th September 2016, I was excited to be approved by publishers Little, Brown Book Group via NetGalley for an advance copy of this novel. 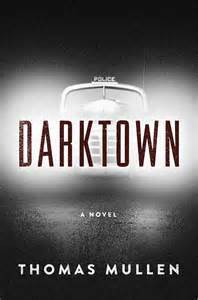 Described as a “riveting and elegant police procedural” I was keen to see how Mullen would link the context of race relations in 1948 Atlanta with the demands of a crime story. While it took me a while to really get into the feel of the characters and how they were linked, as far as the action goes I was hooked from the opening pages. When we first meet Boggs and his partner Smith we are efficiently shown just how helpless the first eight coloured police officers in Atlanta actually were. They are given no cars with which to patrol, they are not allowed to carry a gun, their contact cards have to be paid for from their own pockets and they are not actually allowed to arrest anyone without a white officer being present. Throughout the novel I admit to feeling an element of seething frustration on behalf of these characters who were treated so poorly solely because of the colour of their skin. As we are shown Dunlow, a bigoted cop who has grown used to people doing things his way, lock horns with Boggs it is clear that things are not going to go smoothly. I could not believe some of the details we are given in the novel – but however upsetting they might have been to read, I think they were vital. This was a compelling read that I can’t wait to see people’s reaction to. The news that this novel is due to be adapted by Sony Pictures Television and Jamie Foxx is exciting stuff, and I can’t wait to see how such a gritty read translates to the screen.